Get trading information from or to the enmacc platform with one of enmacc CONNECT's robust APIs. APIs are the connections that bridge your technology gaps and automate processes between applications. Open the door for information exchange for your Portfolio Management System (PFM), Risk Management Tool, Pricing Tools or whatever is next to digitalise the energy trading processes. enmacc CONNECT is functional and flexible enough for any projects you throw at it. Providing a free and easy to integrate API to facilitate a complete end-to-end digitalisation from Front- to Backoffice is a cornerstone of our core vision. When enmacc customers engage with the platform, specific events like new tender requests received, new quotes received, or traded deals trigger the execution of a defined HTTPs callback (secure webhook). This allows an easy integration of enmacc events in your application. Those callbacks can be used to invoke custom behaviours in your application. Subsequently your application is able to query required information about the event via the easy to access enmacc REST API. The event callback itself doesn't contain confidential information because of security reasons (so called skinny payload). Now your application is capable to process enmacc data. enmacc CONNECT provides simple and secure RESTful HTTP interfaces for exploring and interacting with the enmacc platform from your own applications. We'll assign an OAuth client_id and client_secret for each of your applications. We additionally give you access to a sandbox environment for development and testing. Authenticate and authorize your application with enmacc CONNECT. You can retrieve an active authorization token with your secure credentials. 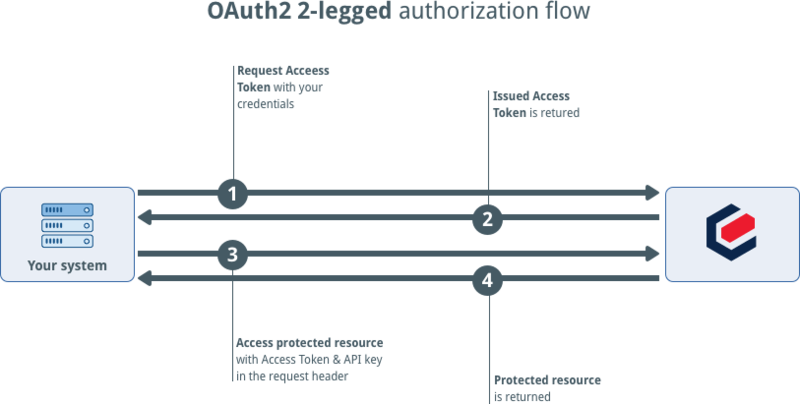 Make requests to our API endpoints with the OAuth credentials. Additionally you can specify endpoints for Webhooks and enmacc CONNECT notifies you about new events (e.g. deal was traded). enmacc CONNECT uses OAuth to provide authorised access to its API. OAuth is an open protocol to allow secure authorisation in a simple and standard method for web, mobile and desktop applications. enmacc CONNECT is free of charge for our customers! Providing a free and easy to integrate API to facilitate a complete end-to-end digitalisation from Front- to Backoffice is a cornerstone of our core vision. Rate limiting of the API is primarily on per-customer basis — or more accurately described, per user access token. You can request an increase of these limits. Please contact us directly via connect@enmacc.de and describe your scenario. Yes, your data is secure. enmacc CONNECT uses a HTTPS over TLS (HyperText Transfer Protocol Secure) as a secured, bidirectional tunnel for communication and OAuth2 as authorization framework.